Google Maps offers more than just maps, Street View and navigation. This map service, with its enormous data collection, can provide more help than you expect on your vacation. We'll show you a few tips which make Google Maps an amazing assistant to your travels and everyday life. On vacation, Google Maps is a huge help. On top of providing precise maps for navigation, real time traffic data to avoid jams and Street View for scoping out hotels, Google Maps offers even more functions. Many of these aren't obvious, but are definitely worth discovering. You absolutely have to visit the Empire State Building and MoMA? To avoid waiting for two hours and possibly not even getting in, you can find out via Google Maps when lines are at their shortest. Google constantly registers the number of people in a certain area and turns this into helpful data for you. Use it! This graph displays a few handy things. You'll know immediately how long guests normally spend at the attraction, and can then consider whether it's still worth joining the line at 6pm. You also have a comparison between days of the week. For example, if you're spending a few days in Amsterdam, you'd be well-advised to visit the Anne Frank House on a Wednesday morning. Driving to a friend? You can let them know when roughly you'll be arriving, in a modern way. Instead of calling, or risking being called behind the wheel, Google Maps will take over the task of keeping your friend updated. Press on the remaining time at the bottom of the navigation display. Then tap on 'Share trip'. Choose a user from your address book or via telephone number or email address. This friend will be able to track your position and see when you'll arrive. Your friends can regularly check whether your arrival time has changed. Google utilizes traffic information for your route and will factor this into your journey time. If you hit sudden traffic, Google Maps will automatically try to find an alternate route. Planning a trip with or for friends, and want to discuss the route together? Maps can create a plan on a smartphone or computer, including all intermediate destinations. You're able to send that plan between devices, or share it among your friends. Tap 'Add stop' next to the input bar to add more cities or addresses, or change the destination altogether. Then choose 'Share Directions', select the app and send the link to your friends. If it's not a journey you want to recommend but several individual locations, you can sort these into lists and display them to friends. Your buddies will be grateful when they see that you've already sought out the best bars and restaurants for them. You first need to find the places on Google Maps and save them into a list. This list can then be shared with friends. You can even make them completely public, so that they can be found on Google. To access the lists we need to go to the Main Menu > Your Places > Saved. Once you select a list, tap either the share symbol or 'Sharing options' from the menu. The first way will share the link to the list via app, and the second publishes the list in such a way that it's theoretically visible on Google searches. Google Maps sometimes forgets which way is forward. If you see a blue funnel replacing the normal compass needle, and once again pointing the wrong direction, only a roller coaster ride will help. This sounds odd, and looks it too, but you need to draw figures of eight in the air with your phone until the Maps assistant corrects itself. This might occasionally take a minute, but truly works. Important appointment? Utilize the synergy between Google Maps and Google Calendar. Input the destination address into the calendar appointment. Via Google Assistant or Now cards, this will then be synchronized across Calendar and Maps, as well as on your smartphone and smartwatch. 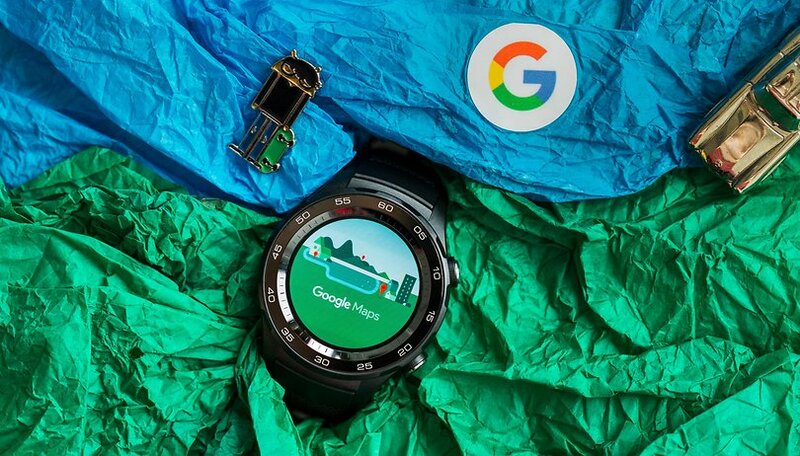 If you have an Android Wear watch, you'll be reminded of the appointment through vibrations. On your smartphone you'll see a corresponding map that shows you how best to travel to your appointment. In case of high traffic on the day of your event, the artificial intelligence will advise you accordingly to leave earlier. You'll always be warned in time. If you've set a daily appointment for your commute to work, Google will inform you every day of the quickest route in. If, for example, a construction site opens or closes, a street is blocked, or an accident hampers your route, Google will ensure that you're informed ahead of time. To do this, Google collates the necessary information from Android devices located on the route itself. Google Maps makes it easier to save money on gas. Open the app, enter your route, then tap the magnifying glass while in navigation mode. You'll then be able to select the option to show gas stations along your way. Now, you can see a selection of gas stations on the way to your destination, including the price of gas at each one and the number of minutes off your path it is. So, you can stop wherever the cheapest, most convenient station is. Be it for travels, daily life or social scheduling, Google Maps offers many tools to make your life quicker and more efficient. Using the data services fully, you'll discover synergies between individual apps and devices. Maps becomes far more than just a map - it becomes your assistant, informant, and a small improvement to the quality of your life. Its high time and Google is coming up with some wonderful features which are really useful and handy for many. We don't need a guide anymore and all we need is Google Map and it keeps on upgrading which is great news for all consumers.